Naples is a fantastic city. It has magnificent location on the hills which slope to the sea and with majestic Vesuvius at the background. The huge period of history is reflected in the structures of the old town which is the largest in Europe. The old town was declared as the UNESCO World Heritage Site. 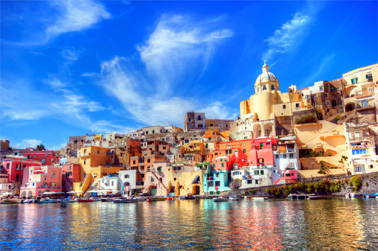 Naples combines ancient ruins and medieval features, Renaissance influence and modern buildings. Fusion of styles makes this city special and unsurpassed. Naples is a big city and visitors can find many interesting and exciting in it. It offers to visit museums and theatres, shops and restaurants. There are parks and promenades, magnificent historical monuments, spectacular views and the unforgettable atmosphere. It's possible to have a look at unique antique exhibits at the National Archeological Museum, among them artefacts from Pompeii. Not only archeological, but also the Fine Arts museum in Naples is marvelous. The real treasures of the outstanding masters are kept in it. Even under the city you can find hidden sights. It's possible to go through the dark tunnels and visit fabulous catacombs with unique frescos of the first Christians. There are three massive castles which strike visitors in Naples. Imposing Castel dell Ovo is the oldest. It's really majestic. It was called “Egg Castle”, and the name is very intriguing. There are several legends about the magic egg hidden in the castle. This medieval fortress with unbelievably thick walls and grandiose towers reflects the life during Middle Ages. From the walls of this castle it' possible to enjoy amazing view to the sea. Another fortress with wonderful views is Castle Sant'Elmo. It's located on the high hill and dominates the landscape around. Narrow streets lead upwards in a labyrinth and on the top there is the fortress with stunning views of Naples and the seacoast. The spectacular views of Naples keep in memories forever. Castel Nuovo with giant round towers also boast spectacular views. There are many big and small squares in Naples. Huge semi-circular Piazza del Plebiscito strikes by its size and impressive buildings. In this piazza guests can admire beautiful basilica resembling the Pantheon in Rome with splendid colonnade and the king’s palace. Naples has a lot of faces. There are Medieval streets and grandiose piazzas with palazzo as well as modern buildings. 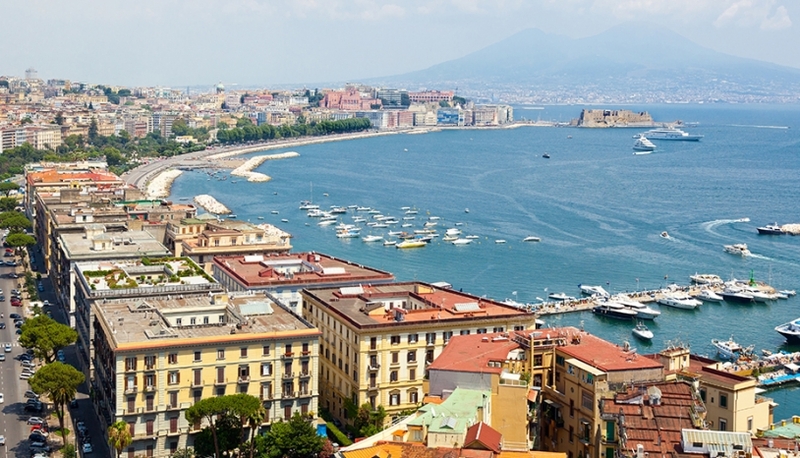 Theatres and museums, parks and beaches are offered for the guests in Naples. There are a lot of outstanding historical and cultural objects in this city. Besides, guests can enjoy wonderful nature, beautiful landscape and fantastic panoramic views. Beauty, excitement and glory of Naples cannot leave anyone indifferent. This is a unique city and each person will find something precious.